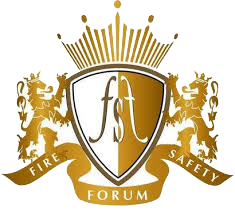 Fire and Safety Forum (FSF), the international organization, of Health & Safety invites application to the EDUSAFE program tailored to the professional development of Engineers and Senior Managers. FSF as a voluntary organization in the international level, represented by 7000 members from 57 countries, offer scholarship for talented young professionals aspiring to become a CSP Engineer or CSP Manager. The EDUSAFE program provided by the Research Forum of veteran safety professionals of FSF, bring a 100% free education to update the NVQ level qualification from FSF, to the eligible Candidates. The award will be based on the written test and the interview with the Authorized Trainers of FSF. FSF announced 36076 allotments from 193 UN approved nations, worth $2.9 M (INR 1.8 B) to get educated in L1, International Safety Language Diploma ISLD qualification from India. Students will be facilitated with Food & Accommodation as well as VISA to come down to India. FSF aims to establish their vision, by educating and empowering eligible professionals in the field of Health and Safety through this Scholarship Program. Every delegate will be eligible for availing the privileges of Professional Forum of FSF, in continuing professional development to become a Certified Safety Professional. The L1 ISLD training will be for 30 working days, and students will be having an industrial visit during the training. The program enables engineers or other professionals to get more recognition and remuneration as well as set up a good career foundation to the fresher professionals. The EDUSAFE Program is announced for the academic year of 2016 to 2017. Applications can be made by filling the following form. We have sent a verification code via SMS. Update the OTP and click to verify.